Experience the 50th anniversary of one of humankind’s grandest achievements in setting foot on another world. When Neil Armstrong stepped onto the Moon on July 20, 1969, he at once met the audacious challenge of President John F. Kennedy to land an American safely on the Moon, while turning our species into citizens of the world. Over the ensuing three years, 11 other people walked on and explored the Moon and all the astronauts that walked on the moon trained in Flagstaff. This was possible only with years of preparation, in which many milestones occurred in the Flagstaff area including astronaut science training, instrument development and lunar mapping. The public experience at Grand Falls, one of Northern Arizona’s famous desert water features, was enhanced in fall 2016 with the construction of a new interpretive site. Interpretive panels explaining the Navajo culture can be found under a ramada structure shaped like a traditional Hogan and new waterless restrooms are now close by. The concrete floor of the ramada features a stamped design of the four sacred Navajo plants: maize, beans, tobacco and squash. Grand Falls typically flows only during snow melt, in the spring, or during monsoon season. Flagstaff’s historic downtown core has not seen new hotel construction for more than 60 years, but a full downtown block, on the corner of Aspen Avenue and Humphreys Street is currently undergoing a transformation. A 110 room Marriott Residence Inn is under construction at this convenient downtown location and is scheduled to open May 2017. The east edge of Flagstaff will also soon be home to new lodging options with a 99 room Fairfield Inn & Suites and a 103 room Hampton Inn under construc­tion just off Interstate 40 at the Country Club Drive exit. Both properties will be four stories tall and feature indoor corridors, electric vehicle charging stations, indoor pool and hot tub plus views of Mt Elden and the Continental Country Club golf course. The hotels will be located adjacent to a new Oregano’s Pizza Bistro and are scheduled to open by June 2017. The tree top thrills at the Flagstaff Extreme Adventure Course are soaring to new heights with the addition of the Adventure Zip Lines Course. The new course opened in December 2016 with weekend ticket availability and will be open daily beginning summer of 2017. Adrena­line seekers will find a network of 30 zip lines zig zagging through the Ponderosa pines of Fort Tuthill County Park sending participants deeper into the surrounding forest. While the majority of the experi­ence takes participants cruising through the air high above the forest floor, riders will have to climb seven ladders and traverse eight bridges to get to the zip line take off platforms. The zip line course joins the highly popular adventure course which offers more than 70 aerial challenges divided into five difficulty levels. Not just another wine bar, Blendz, Flagstaff’s newest beverage-focused establishment, offers wine tastings, education and wine blending in a conversational atmosphere. With 15 varietals served straight from oak barrels, you will be able to find a wine to pair with almost anything. How­ever, adventuresome travelers can learn the art of wineblending to create your own blend. Once you have found the perfect mix, Blendz will bottle it and create a custom label for you. No worries if you forget the recipe, Blendz will save it along with your label so you can order a case for future events. In 2005 Flagstaff was home to the first legal distillery in Arizona and after many dormant years a new team is working the still. Production began in 2015 at Canyon Diablo Spirits on varieties including: Sonoran Rose Prickly Pear flavored Vodka, Desert Rain American Dry Gin and Two Ghosts Chili Pepper flavored Vodka. The company was named for Canyon Diablo, a real, but little known, short lived, true Wild West town located east of Flagstaff. It was meaner than Dodge City and Tombstone combined, and called the toughest Hellhole in the West and it is this legacy that inspires and influences the master distiller to create bold memorable flavors. The Grand Canyon Express, Arizona’s first high-speed six person chairlift is up and running for the 2016-2017 ski season, whisking riders up a 1,500 foot vertical in less than six minutes. The name for the new lift is a nod to the fact that Arizona Snowbowl is the only ski area in the United States were riders can see the Grand Canyon in the distance from the chairlift. The Grand Canyon Express joins the Hum­phrey’s Peak Quad lift which opened for the 2015-2016 season and now serves popular intermediate terrain. In addition to the new lift, skier experience continues to be improved with new trails and expanded snowmaking coverage on the mountain. Arizona Snowbowl has plans for renovation and expan­sion of the Hart Prairie Lodge during summer 2017 to further enhance guest experience for winter 2017-2018. Hart Prairie Lodge is the main location for equipment rentals, ski lessons and lift ticket sales and the updated space will better service the increasing volume of skiers and visitors annually. Beginning with the arrival of Percival Lowell and his Clark Telescope in 1894, Flagstaff has become one of the premier deep space research sites in the world and ideal location for visitors to view and learn more about the night sky. Lowell Observatory, where Pluto was discovered, is open daily, offering tours and educational programs to visitors. They also offer night sky viewing through high power telescopes throughout the year. In 1958 the Flagstaff City Council passed the world’s first lighting ordinance banning advertising search lights that were making it difficult for professional astronomers to complete their night sky research. Flagstaff is the home of Lowell Observatory, the U.S. Naval Observatory’s Flagstaff Station, the National Undergraduate Research Observatory, Braeside Observatory and the Navy Prototype Optical Interferometer (NPOI). The city is a dark sky refuge for hundreds of amateur astronomers as well. The Flagstaff Brewery Trail is your self-guided beer tasting adventure in Flagstaff - Arizona’s Leading Craft Beer City. Discover locally-brewed craft beer and delicious food in the craft beer hub of the Southwest. Free Brewery Trail Passports available online or locally at participating breweries. On the trail you will get a taste of Flagstaff’s microbrew history with stops at Beaver Street Brewery, Lumberyard Brewing Company and Flagstaff Brewing Company; and some newer favorites, Historic Brewing Company, Wanderlust Brewing Company, Dark Sky Brewing Company and Mother Road Brewing Company. Bring warm clothes as the recreation opportunities double in and around Flagstaff when precipitation comes in the form of 108.8 inches of average annual snowfall. 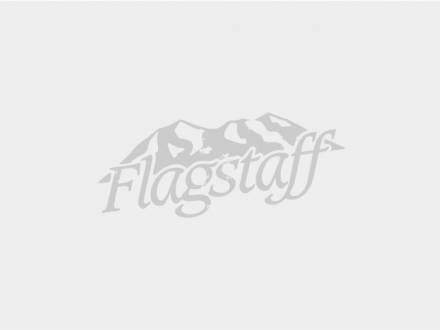 Flagstaff is between 20 and 45 degrees Fahrenheit (-7 to 8 degrees Celsius) during the day, and has much colder nights when the snow decides to please winter enthusiasts. For a winter adventure that feels more Norway than Northern Arizona, rent your very own Yurt at the Arizona Nordic Village. Located in the forest, these small cabins are a fun way to spend time with friends, and also enjoy the great outdoors by snowshoeing, skiing, snowbiking and hiking.